Just the word “negotiate” can ignite a bevy of nerves. You might think “If I am offered a job, do I dare even try to ask for more money in this employment market?” Fear not, my job seeker friends. Negotiating does not have to be a scary process. If done strategically, you can negotiate a salary and benefits package that match your value and the market rate despite the economic downturn. You must be prepared, however, and equipped with reliable, timely information that can back up your value and expectations. To gain negotiation power and ease your fear, research your personalized talent market value, and leverage this information when it comes time to talk money. Free resources to help you find out this information are Glassdoor, Salary, and Payscale. Filling in the information may seem tedious, but I have seen it pay off in the long run, literally. I have coached thousands of fearful job seekers helping them to find jobs, and win offers. Those that ended up getting paid more than they expected prepared by researching and practicing what to say. Q: When is it appropriate to discuss salary or benefits? A: It is recommended that you avoid bringing up pay until you have been offered the job. Win the offer first so that it does not look as though salary is your main focus. Keep the interviewer’s focus on what you know about the company, why you want to work for them, what you can do for the business, and why you are the best candidate for the job. When salary is discussed too early, and your amount does not align with the interviewer’s, they may become more focused on what you want, rather than what you have to offer. Q: What should I say when I am asked what my salary expectations are? If you provide a specific amount like $45K for instance, and the prospective employer has a budget of $60K, you might lose out on $15K per year. Alternatively, if you give a number that is higher than their budget, you may not be offered a second interview. The goal of the first interview is to land a second interview which means you are closer to an offer and the chance to negotiate stronger once the ball is in your court. Employed or unemployed, the key is to impress the heck out of the interviewer in the first interview so that you land a second interview and ultimately an offer. Q: What if I am offered the position and salary has yet to be discussed? If a company presses you to accept the job and the salary amount right then and there on the spot, it is usually not a good sign. If the interviewer is eager to bring you aboard, he/she should give you time to think it over so that you can make an informed decision. Come up with a mutually beneficial timeframe as to when the final decision will be made. Consider ironing out all of the details and dimensions of the offer before you officially accept. Ask for the offer details in writing before you accept. Take care not to come off as pushy or suspicious. If you are feeling suspicious, you may not want to accept that job. Pay attention to, and trust your instincts. Q: What is the best way to counter-offer? Remain silent and wait for them to speak the next words. Be confident but not overly aggressive or pushy. Always thank the company for the offer, even if you do not accept. If you employ your best negotiations strategies and they will not budge on salary amount, consider negotiating other terms like additional paid time off, or a sign on bonus where appropriate. Become a strong negotiator through research, the ability to sell your value and practice. Do not be afraid to ask for what you are worth. Do you have questions about your unique job search situation? I would like to help. 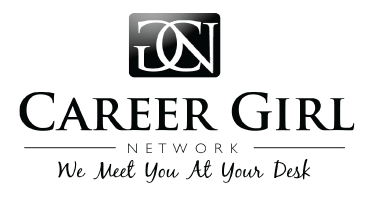 You may reach out to me directly for free job-winning tips, tools and resources via email at coachsally49@gmail.com.